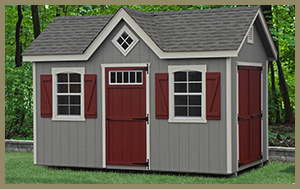 It is with great pride that Missisquoi Cupola & Structures introduces to you, an exciting new line of garden sheds. After years of listening to our Canadian customers in search of original, durable and attractive storage options, we have decided to offer them the type they are looking for. 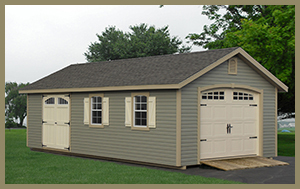 As with all our products, these high quality sheds and garages are designed with beauty and quality in mind. All of our models are available in a wide range of sizes and exterior finishes; each of them can be customized to your personal taste and to compliment your home and landscape. 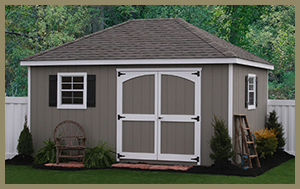 Each shed and garage is constructed using only top-quality materials. Pressure treated 4×4’s lay the foundation for all our sheds. The floor frame is made of 2×4 beams centered at 16”. The most popular siding option is LP Smartside panel. It is a machined exterior grade material that will withstand our Canadian climate. 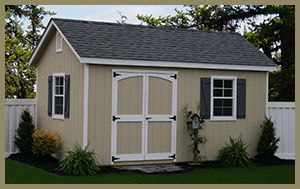 Other shed options include stained board and batten knotty pine, horizontal lap or vinyl siding. The standard wall height for our sheds is 7’. It is braced with 2×4 construction. 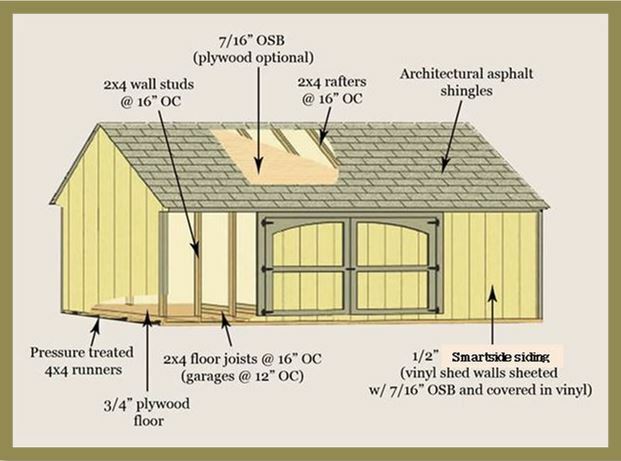 Upon request, we can build your shed or garage with 2x6s, should you wish to insulate. Our shed roofs are covered with 30-year architectural shingles available in an assortment of beautiful hues. 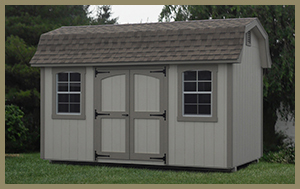 Roofing metal is also available on all of our sheds. 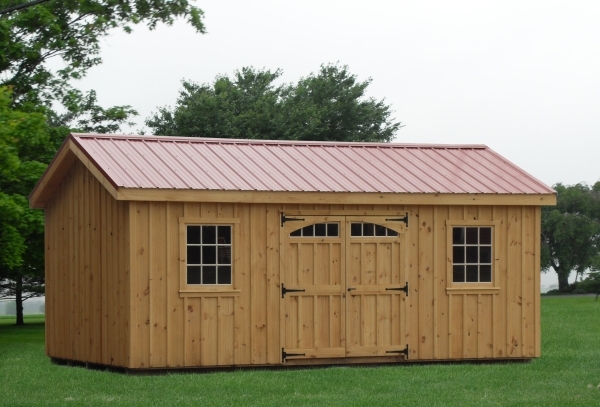 For more information and pricing on our sheds, please contact us or come in for a visit and take a tour of our beautiful outdoor showroom. 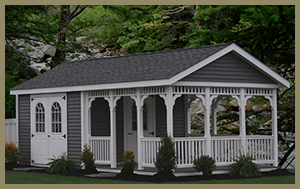 With an attractive hip-roof, The Cabana offers a modern touch to a classic style. Our pool-house cabanas are your perfect backyard luxury. Relax in the shade of your open air veranda and keep all the necessities close at hand for when you want to take a plunge into the pool. Use it for office space, living space at your pool or club, or storage with a classy look. With its unique design and structure it is one of our top sellers. The carriage shed is often used to store lawn mowers. If you appreciate a rustic way of life, and would like to add a little country charm to your home then this cabana is the one for you! It also provides the maximum storage space because of the extra high ceiling. 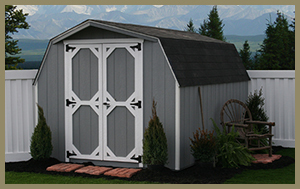 This quaint little beauty is the perfect place to store your garden tools and lawn fertilizer. You will fall in love with its window shutters and classic doors. The Workshop is the ideal shed for garden convenience. 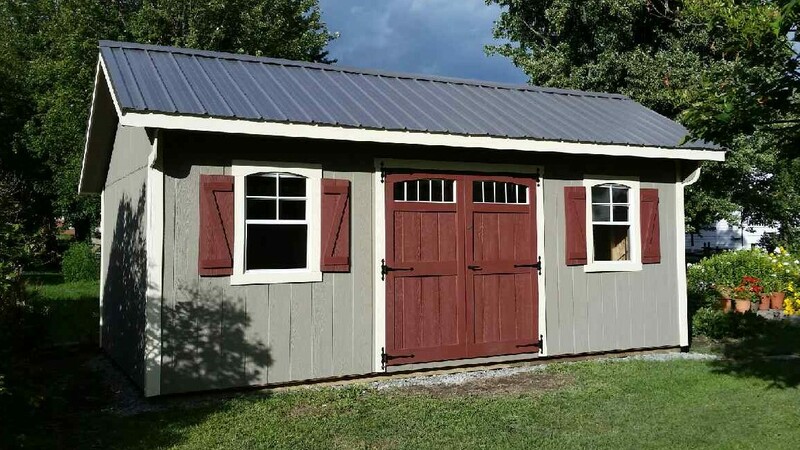 Add the optional workbenches and it makes an ideal tool shed. 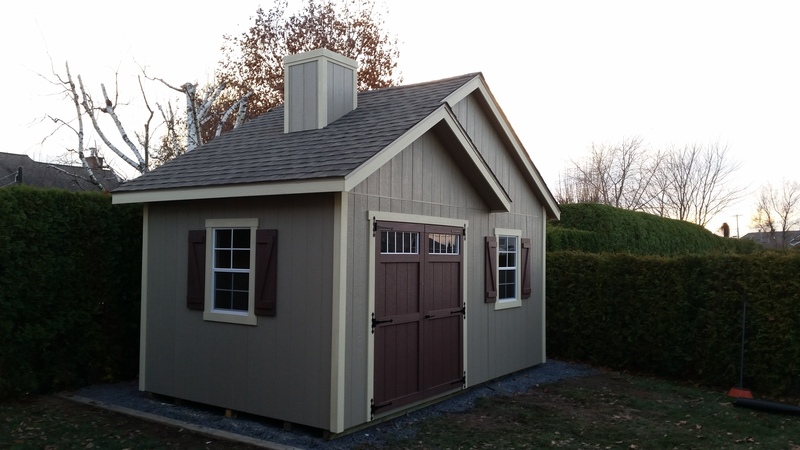 The Board and Batten Shed is one of the most natural looking sheds that we have to offer. The boards and battens that are used create a beautiful work of art that compliments various landscape styles. Our workshop garage lets you park your car in style, with enough room for a large truck and a workshop in the back. The Barn is one of the most interesting looking cabanas that we have to offer. 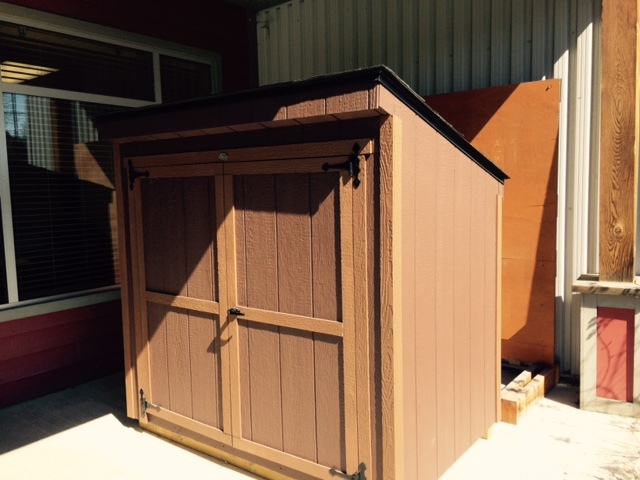 With a rustic old world style a large open space, this shed can easily provide extra storage to any yard. Protect your garbage from animals and your neighbor from odors. 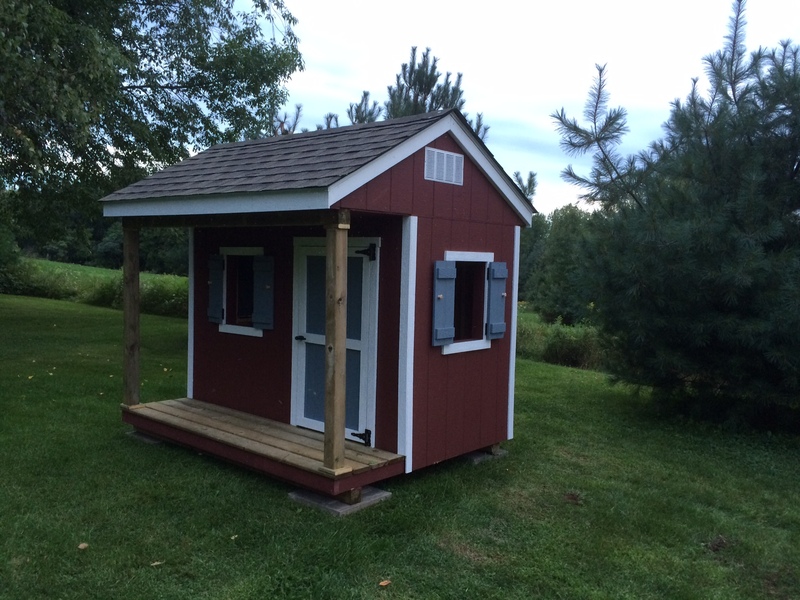 Let your kids enjoy the summer and have fun with a playhouse. Offer then a private and secure place and storage for their toys. The contemporary model offers an elegant and modern look. It’s an addition that will give your property an aesthetic grace as necessary as the landscape itself. 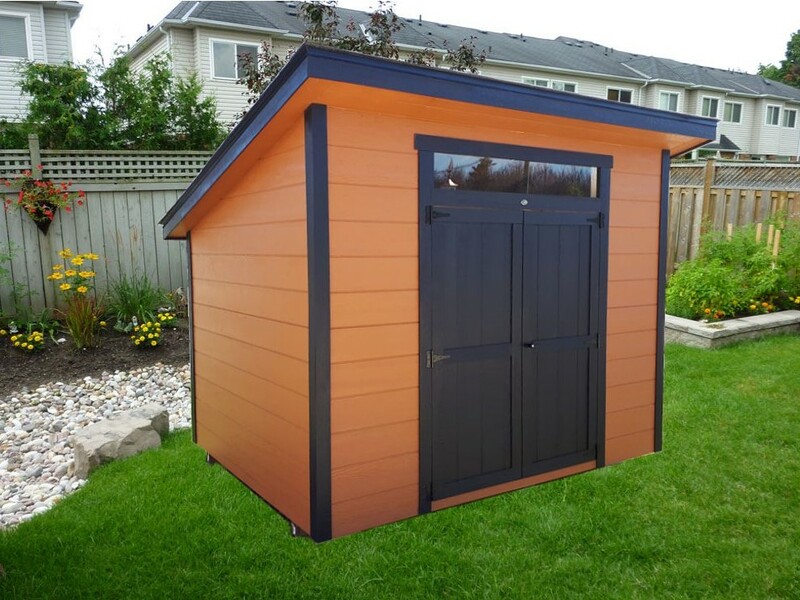 The contemporary shed is perfect for permanent storage or mere clutter elimination.